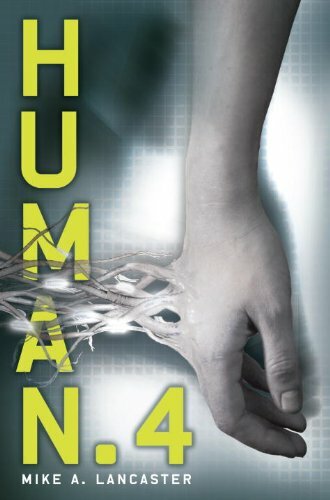 Dystopian | Elaine Reads . . . constantly! Imagine waking up one day in total darkness, unsure of where you are and unable to remember anything about yourself except your first name. You’re in a bizarre place devoid of adults called the Glade. The Glade is an enclosed structure with a jail, a graveyard, a slaughterhouse, living quarters, and gardens. And no way out. 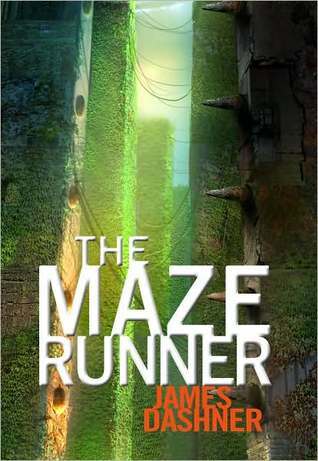 Outside the Glade is the Maze, and every day some of the kids — the Runners — venture into the labyrinth, trying to map the ever-changing pattern of walls in an attempt to find an exit from this hellish place. So far, no one has figured it out. And not all of the Runners return from their daily exertions, victims of the maniacal Grievers, part animal, part mechanical killing machines. This is the first in what I think is going to be a trilogy. It is one of the nominees for the 2011-2012 Georgia Peach Award for Teens and one of the best so far. 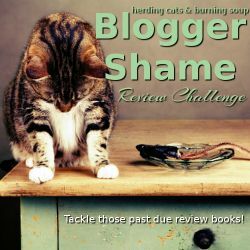 There were so many things going on in this book that at first I had a hard time keeping track. That is often the case when an author has to spend time world building. I stuck with the book and I am glad that I did so. It really turned out well although the ending is definitely a cliff hanger. This is a book that I would recommend to readers who like The Hunger Games or The Knife of Never Letting Go series. I have been reading Robert J. Sawyer’s www trilogy which is also about computers/technology becoming self aware. It is amazing how different the takes are on the subject. Wilson’s book makes me nervous. I am already concerned about what our lives would be like if there was an EMB that wiped out the technology I rely on. How much worse would it be if that technology turned on humanity? 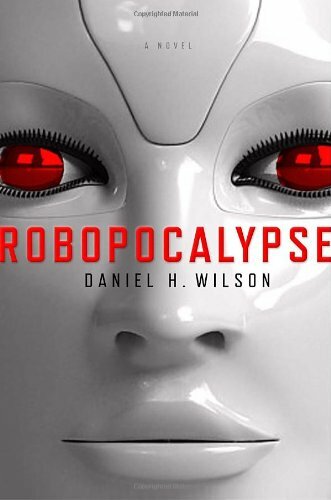 The first chapter of the book takes place during the immediate aftermath of the war between the robots and humans. It almost made me not read the book. There was nothing really wrong with it, but it wasn’t what I was in the mood to read. I put it down for a few days and when I came back to it, I realized the rest of the book was the story of the beginning of the war and its duration. The chapters alternate between different characters, so I got a variety of perspectives. I ended up really enjoying the book. One thing that struck me in the first chapter is the narrator states he is transcribing the records by hand. He is not trusting them to a digital form. That is one thing that concerns me about our (my) reliance on computers and the cloud. Nothing is in hard copy. What will happen if I no longer have access to computers? It’s a disturbing thought. Kyle Straker volunteered to be hypnotized at the annual community talent show, expecting the same old lame amateur acts. But when he wakes up, his world will never be the same. Televisions and computers no longer work, but a strange language streams across their screens. Everyone’s behaving oddly. It’s as if Kyle doesn’t exist. I thought this book was going to be a fun read. It definitely was not. What it was was fascinating, engrossing, creepy, and very disturbing. By the end of the book, my skin was crawling. An eighth grade girl was taken today . . . With this first sentence, readers are immediately thrust into a fast-paced thriller that doesn’t let up for a moment. In a world not too far removed from our own, kids are being taken away to special workhouses if their families exceed the monthly debt limit imposed by the government. Thirteen-year-old Matt briefly wonders if he might be next, but quickly dismisses the thought. After all, his parents are financially responsible, unlike the parents of those other kids. As long as his parents remain within their limit, the government will be satisfied and leave them alone. But all it takes is one fatal visit to the store to push Matt’s family over their limit—and to change his reality forever. This book was recommended to me in a session on middle grades fantasy/science fiction literature at the 2011 Children’s Literature Conference in Athens, GA. The presenter, Edie Parsons, discussed several books which were immediately added to my TBR list. This is the first one I have had the opportunity to read, although I have already purchased some of the others. Anyway, I thought this book was particularly appropriate considering the economic conditions we are currently living in. Due to his parents overspending, not the kids don’t contribute to the problem, Matt is placed in a group home to help work off the family debt. He has to remain until either their debt falls below “the limit” or he turns eighteen. I enjoyed this book although there was not a lot of depth too it. I thought the problems the kids faced were too easily overcome and there was too little connection made between the kids and their families. Surely, at least one of them would have exhibited signs of homesickness. I would recommend this book to the kids who enjoy books in which the kids outsmart the adults . . . and isn’t that all of them?